There are many other not restricted texts that discuss this matter in any case. If you are saying there is a secret way to interpret it where the meaning is reversed, I don't think this makes any sense. Talk to to Elio or Jim if you really want to know, as simple as that. You have their e-mails. One can use the Dharma as a vehicle of liberation. Once can also use it as an identity-building project. EOT as far as I am concerned. No clue. But I have heard it, often very strongly stated, from every single Vajrayana teacher I have received teachings from. ChNN was particularly adamant here. More than once, too. Garchen Rinpoche says that disparaging non-Buddhist traditions is just as pernicious as disparaging a Buddhist vessel. But nobody on this thread was disparaging the views of tirthikas except insofar as to point out that they do not lead to liberation. That cannot be considered disparagement. If people were saying, “those idiot Christians who aren’t smart enough to understand the middle way” or something similar, then that would be disparagement. But nothing of the sort was being said, only that other religions hold views incompatible with that of the Dharma. I seem to remember something or other about the belief in God being the mark of the crass stupidity of witless men. If you have genuine contempt for a non-Buddhist religion (to say nothing of other Buddhist tenet systems), you have committed the sixth downfall. Indeed. One need only think of the Buddhist tantras that made Hindu gods subservient to Buddhist ones. Or the outright plagiarism in cases like the Cakrasaṃvara. It would make sense that the intent was subversive. But, in that case, why then can't we, as Dzogchenpas, make the same move when we encounter the deities and texts of the Abrahamic religions that are so prevalent in our lived environment? Why can't we do the same when we hear about Brahman, Śiva, etc? It seems like there's now this purism about it that fears we will corrupt our view. Whereas the Dzogchenpas and Buddhist tantrikas of earlier eras apparently had no such qualms. As evidenced by your assertion that Cakrasamvara is "outright plagiarism," I don't think there's any need to speak of "encountering deities." There is a difference between a) respecting other paths and their adherents b) studying those paths oneself (ideally from respected authorities) and c) recommending them to others as liberating. One can do A without doing B; or even A and B without C.
In my case, for example, I have studied in multiple traditions in the past, but have stopped being actively interested in anything but Buddhism since taking refuge. I do like to look over and see what they're up to now and again, but I don't seek liberation through them for myself or for others. My interest in non-Buddhist traditions has shifted towards concern with intellectual integrity: understanding how their adherents actually experience them, rather than relying on dismissive caricatures. I suspect that others reading this have also explored non-Buddhist traditions, and found them pretty convincing (or at least intriguing) at the time. We should be open and unashamed about that. This has implications in relationship with others. I can have the attitude that, if someone is going to be a Christian or Muslim, they can be a good Christian or Muslim. I'm not going to preach to them about how they are deluded. I maintain a diverse group of friends and acquaintances, and do not shy away from talking with them about religion and philosophy if they want to discuss those domains. Unless and until I attain omniscience, I'm not going to speculate about what awaits them in the next life. I'm aware of what the traditional sources say. Direct experience will tell me whether committing to the path I have has been a wise decision. Generally, respect entails proceeding on the basis that people whose perspective differs from yours probably have good reasons for seeing things the way they do. You never assume that you have their number. To do so is a form of reification. It is better if the respect you have for other traditions is based on accurate knowledge of what they teach. If your attitude is, "Oh, that's their thing. It's totally useless, but they can waste their time if they want to. I don't care." The latter is a form of tolerance, but it is not respect. We owe respect to the buddha-nature intrinsic to every sentient being, however confused we believe them to be. We can't compel them to accept our view, even if we think it is the correct one. If they are drawn to our path, great; if not, we don't need to judge them. I would suggest that those who spend hour after hour relentlessly refuting other systems are more preoccupied with them than those who simply try to present accurate information without either endorsing or condemning. Usually, the refutations are not based on an earnest investigation, and are therefore unconvincing. They proceed along the lines of, "Here is what these deluded people have taught. I don't really know much about it, but I don't need to, because it's rubbish anyway. So, let's present this cursory summary so I can refute it and we can move on." I think a major project, if anyone wanted to devote years of their life to it, would be to write in-depth, well-informed refutations of Abrahamic views; for Buddhists in the West, that could be a useful resource. Another would be to update the critiques of Hindu schools on the basis of the most authoritative Western scholarly and traditional sources. 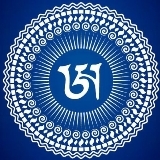 Perhaps even the critiques of Śrāvaka views and the view of Zen attributed to Hvashang Mahāyāna could stand to be updated through open dialogue with contemporary masters of Theravāda and Zen, as well as a study of how those traditions have developed over the past thousand or more years since anyone took a look. That's the actual size of the task, if anyone wanted to take it up. As far as I'm concerned, everyone should investigate freely for themselves, ranging over the whole field of teachings that claim to be liberating. And if, thoroughly acquainted with the breadth and depth of what's out there, they come to a place of decision about Dzogchen as the pinnacle, then they are making an informed decision. And that decision is always provisional until it is confirmed in direct experience. When we are about to be reborn and enter a new existence, it is best to close the doorway to the womb and to meditate the yidam deity, to pray to Amitabha or Avalokiteshvara, so that we don’t enter the new existence but be led to a pure realm. That is ideally the best thing to accomplish. If we can’t do this, then it is said we should pray to be reborn before Padmasambhava, in the presence of Avalokiteshvara or in a good land where we will be able to practice the dharma. We won't resolve this issue here. I just want to point out you're making this an absolutist statement. It very much depends on the individual. Phowa and Pure Land practices rely on Aspiration. Genuine aspiration is wonderful. However, it is merely the first step, and the easiest. Genuine, committed practice is hard work, and most of us are lazy and not diligent. Paths based on aspiration exist as skillful means. Some practitioners come back, willingly and joyfully, to our Saha World. Some people find human rebirth favorable. Not the whole thing. Passages have been shown to be directly lifted from Śaiva sources as an act of appropriation. This was known and admitted openly by the Indian Buddhist tantrikas, who boasted of it. Read Alexis Sanderson's work in this area, for example. Maybe he's wrong, in which case we can refute his assertion. But it's the contemporary scholarly consensus, as far as I'm aware. By the way, I don't think that invalidates the potential efficacy of that or any other tantra even a little bit. But it makes sense to be aware of both traditional and current scholarly accounts of textual provenance. Out of curiosity, how do the pro-syncretic individuals contributing to this thread propose to synthesize whatever form of Christianity you are championing with a system such as Dzogchen? How are the two similar in terms of the principles they champion? No entity or principle survives the path of Dzogchen. One would think you would want this god to be affirmed at the end of the day, yet Dzogchen would rob you of this, as it compromises every attribute of its own process in the end. Last edited by smcj on Fri May 25, 2018 7:36 pm, edited 2 times in total. I still think this thread is going to take a turn for the worse and should be locked up (QUARANTINE!) The OP's questions has been answered successfully anyway by Loppon. Are you dismissive of ChNN as being pro-syncretic? It is clear in this paragraph that the Christian view is considered mistaken. It is baffling that people apparently read this and think he is saying that Christians are actually somehow practicing Dzogchen. Last edited by Aryjna on Fri May 25, 2018 7:20 pm, edited 1 time in total. Ok, I will ask if I can, though I can't imagine how I may have misunderstood it. Rinpoche is not being syncretic, he is speaking to westerners who may harbor certain feelings about God and telling them not to worry or speculate about such a thing because after acquiring a working knowledge of the nature of their mind, said speculation will be put to rest. That Christianity as we know it today, may have been derived from some sort of gnostic insight is most likely true, however the assertion that the nature of said gnostic insight is identical to the species of prajñā championed by Dzogchen is a stretch. I see no evidence in the works of these Christian contemplatives that their insight is any different than that of the substantialist tirthika dharmas such as Samkhya or Advaita. And even then it appears much less refined. Most every religion is likely predicated on certain individuals experiences with altered states of consciousness that were later interpreted within the confines of a specific culture. However not all altered states of consciousness are created equal, and not all cultures exist in a region that is conducive to a refinement of understanding. Even East Asian buddhadharma sometimes gravitates towards substantialism as a result of its distance from the polemical climate of India. Tibetan Buddhism was in close proximity to India and as a result its tenets and practices are much more refined and distinct. Early contemplative Christians appear to be little more than people who figured out you could access deeper states of consciousness through mediative practice. Some undoubtedly encountered more refined states like those championed in Advaita Vedanta, and called that expression of consciousness "God." I see no indication that this so-called "God" resembles the nature of mind as championed by Dzogpachenpo. Besides me, who here has ever asserted that Christians practice Dzogchen? The only time I ever asserted anything even remotely like that is from the early 20th century theologian John Tettemer's autobiography, and he only accidentally stumbled on it (whatever it was he experienced) and could not reconcile his non-dual experience with dualistic "God", so he left the Church. But that was a complete fluke. He had never heard of Dzogchen or Mahamudra and wasn't trying to do anything. He was just sick and under doctor's orders to stop all activities. So he was literally sky-gazing when it happened just because he had been told to cool it. But anyway, he would agree that non dual awareness does not comport with a dualistic "God". Last edited by smcj on Fri May 25, 2018 8:18 pm, edited 5 times in total. Spelare: For what it's worth, my own guru (Dzogchen Ponlop Rinpoche) made it abundantly clear that the concept of God I learned from Vedanta is exactly the right way of looking at things (and the right direction in which to pray) -- as long as it's understood that this "God" is inside, not outside. Of course, that's also what my Vedanta guru taught me, but there was no reason to argue . Your mind is the progenitor of the apparent phenomenal realm. God is the creator of the universe. Your mind is God. All very roughly speaking, with the appropriate caveats of using literary devices, etc. There are a million ways to misunderstand the whole thing. Adding "God" to the mix might make things worse for some people. For others, it's exactly the right medicine. But that's probably a discussion best left between student and guru. Safe to say that non-dual awareness is not compatible with the idea of a dualistic, omnipotent, judgmental, creator "God". Just doesn't add up fellas... especially when masters such as Norbu Rinpoche and Yongdzin Rinpoche say different. The latter states you break samaya holding this view. To add, Malcolm pointed out to me the other weekend in Santa Fe, which was a wonderful event by the way, that the Rig pa rang shar also states that tirthika non-dual views are untenable in the context of Dzogchen. Not to mention the fact that the same text rejects 360 different views, the teachings of Adi Śankhara being one of them, with Śankhara listed by name. How a teacher in any serious capacity can then say that one's view of Vedanta and Dzogchen are interchangeable is concerning to say the least. It is one thing to say that like Vedanta, Dzogchen states that our notion of what is ultimately the case comes from within. But that is at best a surface level similarity. I don't know exactly how to reconcile it, but it doesn't bother me. The "all-creating king" is a literary device pointing at your own mind. "God" is another device pointing at the same thing, AFAICT. Of course there can't be a literal God anywhere (because emptiness), but that doesn't mean it can't be a remarkably useful pointer. There's no Real Buddha anywhere either. These are all just my own limitations, of course. We work with what we have. Does this then mean there are countless gods, as the individual natures of countless sentient being's minds, that do not actually create anything? That would be the consequence. Why call it a god at that point?